In addition to debunking, this details a bit of the process for discovering the source of a video, and some interesting things you can find along the way. This hoax happened to pop up at the right time for me to be able to respond quickly. The fact that it was picked up by a few news sites is part of a sad trend: us UFO freaks are not really taken seriously for the subject we’re interested in, yet we’re seen as a target market and a way to draw more attention. Web sites have picked up on the fact that we’ll watch just about anything UFO-related on a larger news site because the association with the larger entity, makes it seem legit. Unfortunately these sites have chosen the absolute worst material to put on display, hoaxes from Secureteam 10, Third Phase of Moon and Mister Enigma. 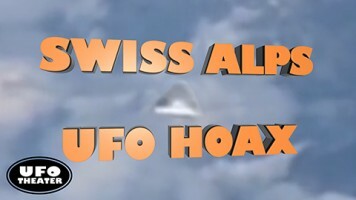 News sites are certainly not making their UFO video choices based on credibility or reputation. I’ll cover this more in another episode.